Diane Baia Hale is an award-winning Chicago playwright. Her newest drama, The Marble Muse, was a winner for Boomerang Theatre Company’s First Flight Festival and took third prize in the 84th Annual Writer’s Digest Writing Competition in the Stage Play Category. A semi-finalist for the Eugene O’Neill Theater Center’s National Playwrights Conference, The Marble Muse also earned third prize for the Henley Rose Playwright Competition for Women, with additional honors including: finalist, Theatricum Botanicum’s Seedlings Series; finalist, Echo Theatre’s Big Shout Out New Play Contest; and honorable mention, Ohio State University—Newark’s New Play Contest. The Marble Muse has been developed at The Blank Theatre Company’s Living Room Series, Greenhouse Theater Center’s Trellis Project, and Get Lit(erary) at Le Petit Marche/Williams Street Repertory. Other full-length dramas include Rake (finalist, Arch and Bruce Brown Foundation Play Competition; semi-finalist, Pride Films and Plays Contest), The Wisdom of Serpents (finalist, Jane Chambers Award; published, Xlibris, 2014), and The Lion’s Share. A 2009-2011 Senior Network Playwright at Chicago Dramatists, Diane is a member of the Dramatists Guild of America and the International Centre for Women Playwrights. Meridith Friedman (playwright), Your Best One. Meridith was born in Madison, Wisconsin, and raised in Honolulu, Hawaii. She received her BA from Connecticut College, and her MFA in Writing for the Stage & Screen from Northwestern University. She currently resides in Los Angeles and writes for television. Her work has been produced, developed, and workshopped at theaters and festivals across the country, including Curious Theatre Company, Kitchen Dog Theater, Stage Left Theatre, LOCAL Theatre Company, Chicago’s Theatre on the Lake, Actor’s Theater of Charlotte, The Kennedy Center, Chicago Dramatists, The Johnny Mercer Writers Colony at Goodspeed Musicals, Florida Repertory Theatre, The Ashland New Play Festival, Orlando Shakespeare Theater, Florida Studio Theatre, the NNPN National New Play Showcase, New Repertory Theatre, The Lark, Actor’s Express, The Greenhouse Theatre Center, The Samuel French OOB Short Play Festival, The American Southwest Theatre Company at NMSU, and the Abbey Theatre in Orlando. Meridith has been a Playwright-in-Residence at Curious, a Dramatist Guild Fellow, and the recipient of a Downstage Left Playwriting Residency at Stage Left Theatre. 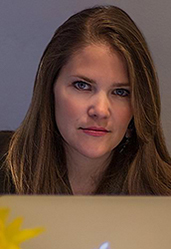 She was a Visiting Assistant Professor of Drama at Kenyon College during the 2011-2012 academic year, and taught screenwriting to undergraduates while completing her graduate work at Northwestern University. She has also taught playwriting to talented high school and middle school dramatists at Interlochen Center for the Arts and Curious Theatre Company. She recently completed the book for the musical, THE 30TH YEAR, which was part of the inaugural New Musical Discovery Series in Orlando. She is currently co-writing the book for a new musical about art theft, and developing an original television pilot about the Supreme Court. 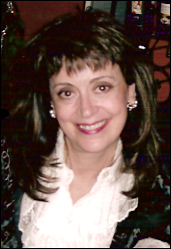 Judith Leora (playwright) began her career writing sketch, animation, television pilots and screenplays. 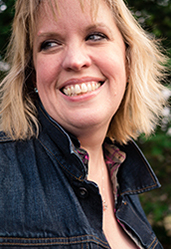 Judith is a Founding Member of NY Madness and now the Chair of the Artistic Leadership team. As a playwright, recent productions include: Elijah (Bristol Valley Thatre, 2017) Gideon (Ego Actus/Paradise Theatre, NYC, 2016), The Cookie Fight (BVT, 2016). Recent readings: Showpony (Lone Star Theatre) The X and the Y (BVT Reading Series), The Cookie Fight (Last Frontier Theatre Conference), Heart-Shaped Uterus (MadLab Readings, NY Madness). Robert Askins Playwriting Fellow/Lone Star Theatre; Elijah (Semi-finalist, O’Neill). Webseries #GoingHomeless currently in production. Recent short form projects: Artisnal Jar (brain melt consortium); Where We Ended Up (Sticky); One Minute Play Festival: Indie Theater edition (New Ohio Theatre) – 3x,Weird About the Baby/NYC Icon Plays (Ego Actus Productions); Crying in Nigeria, Pussyfest Redux, Caplocks Theatre. M.A. 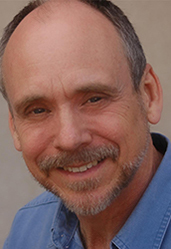 (Playwriting): Texas A&M University (Charles Gordone, Mentor) – Graduate Playwriting Award. David Bunce is currently Teacher/ Artist- in- Residence at the Theatre Institute at Sage (TIS), Russell Sage College, Troy, NY. Play scripts include a musical adaptation of the Edgar Allan Poe story The Fall of the House of Usher, an adaptation of Charles Dickens’ A Christmas Carol, the one-man show Dogs of War; Shakespeare’s Soldiers and the plays Lunch and Where Are You Louise? Screenplays include Incisions, Learning to Fly and Gasoline and Lightning. Writer and director of the short films The Smell of Existence and Soup’s On. Directing assignments have included the films All For The Birds; Pete Dubacher and the Berkshire Bird Paradise and Breakfast of Champions and stage productions of And Then There Were None for the New York State Theatre Institute, Last of the Mohicans Outdoor Drama in Lake George and Lord of the Flies, A Christmas Carol, Radiance: The Passion of Marie Curie and Number the Stars for TIS. A career actor, he has performed in London’s West End, Off Broadway and toured throughout the world. Proud member of Actors Equity Association, SAG/AFTRA and the Society of American Fight Directors.